The Scanning Certification Program, which started in 1991, is a voluntary price accuracy program that seeks to provide pricing accuracy and appropriate pricing information for retail customers in Pennsylvania and surrounding states. The main objectives of the program are to clearly identify for customers the prices of all items in the store and to ensure that customers are charged the lowest advertised price at the checkout. Despite several decades of checkout scanner experience in supermarkets nationwide, as well as the more recent mainstream application of the technology in most other retail channels, some consumers remain disenchanted with point-of-sale checkout scanning systems. The two main complaints are that prices are not easily identifiable because of hard-to-read and/or missing shelf tags and that errors occur too frequently and on a much larger scale than with manually-entered prices. Pennsylvania Food Merchants Association (PFMA), which represents food retailers and wholesalers in and around Pennsylvania, recognized these consumer concerns back in the late 1980s when member stores began to implement checkout scanners, and brought together stakeholders of various interested parties to address checkout scanning issues. By 1991, this group of retailers and wholesalers, consumer advocates, government officials and labor representatives had developed the Scanning Certification Program, a not-for-profit voluntary program whereby participating retailers agree to adhere to a strict set of pricing standards, and in so doing are eligible to earn a certified compliance status. The SCP has received international attention for its proactive and collaborative approach to retail price accuracy. More than 1,000 food retailers currently participate in the program. Supermarkets made up the entire membership base until 1999, at which time the first convenience store chain enrolled. Grocery stores now account for 67 percent of program participants, while convenience stores account for 33 percent. 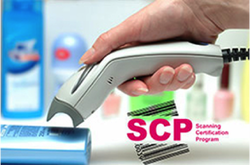 Any store that sells food and uses an optical scanning checkout system is eligible to join the SCP. Program guidelines require stores to ensure that shelf tags are accurate and legible, that scanners are programmed to charge the lowest advertised price, that any errors are documented and promptly corrected, that appropriate employees receive price accuracy training and that consumers receive a free item when they are charged more than the lowest advertised price. Certification is awarded following the successful completion of an unannounced annual in-store inspection, whereby the store earns a price accuracy score of at least 98 percent on a random sample of items and displays compliance with other program requirements. All types of errors – undercharges, overcharges and items with no price posted – are counted in the certification process. Stores that do not qualify for certification undergo follow-up inspections. Enacted by the Pennsylvania legislature in 1996, Act 155 mandates that the Pennsylvania Department of Agriculture conduct unannounced annual price verification tests of all retail stores in the state that use optical checkout scanning systems. A price accuracy rate of at least 98 percent is required. Under Pennsylvania's Certified Universal Product Code (UPC) and Price Look-Up (PLU) Inspector Program, stores with point-of-sale scanning systems are exempt from routine annual Act 155 price verification testing by the Department of Agriculture if they are inspected at least annually, on an unannounced basis, by an approved private certification program that conforms to price verification standards adopted by the National Conference on Weights and Measures. The Scanning Certification Program is an approved Act 155 private certification program. Member stores receive increased customer trust and public recognition for making price accuracy a top priority. Adherence to program requirements helps prevent undercharges that cost retailers money and overcharges that erode consumer confidence in checkout scanning technology. Auditor feedback and customized inspection reporting enables participants to pinpoint and address any price accuracy problems promptly. 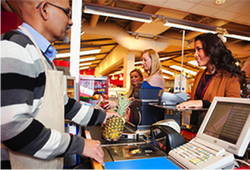 In Pennsylvania, certified stores also fulfill the state requirements of Act 155 for the annual inspection of checkout scanners.